Sofa Bed: 90.5" x 35.4" x 35.4"
Loveseat: 66.9" x 35.4" x 35.4"
Chair: 38.2" x 35.4" x 35.4"
Contemporary styled Argos living room set by Sunset Furniture comes in unique colin brown color. 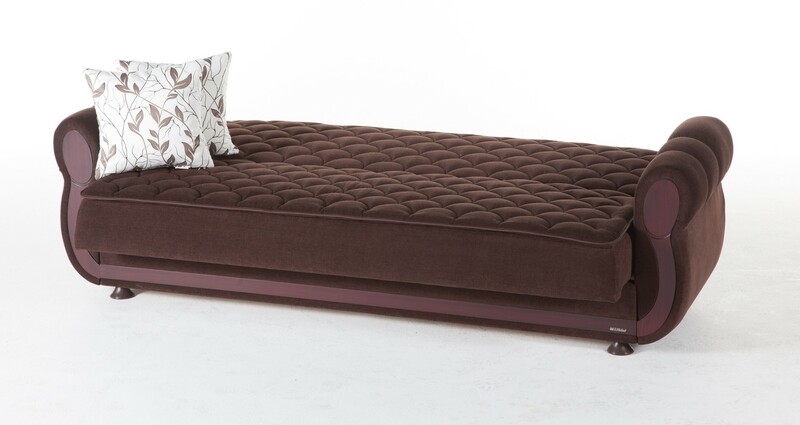 Wrapped in microfiber it offers tufted design with rolled arms and medium firm comfort level. 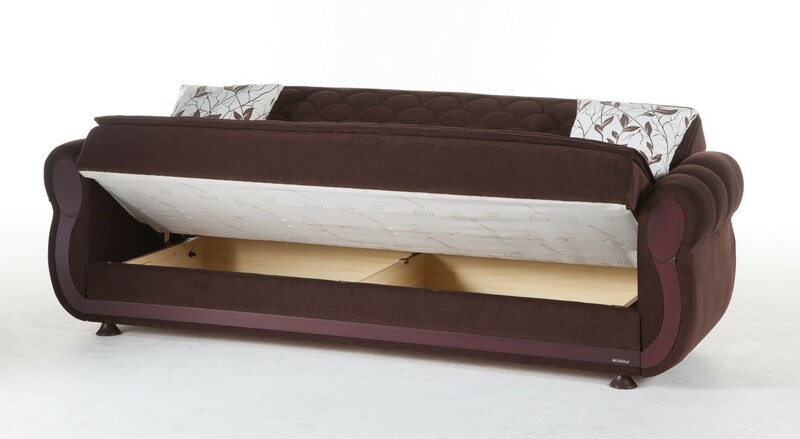 There’s generous storage in all three pieces as well as a high quality mechanism sofa bed. You can buy each piece separately or together as a set.